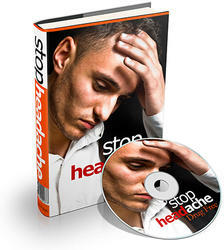 Whereas a cause and effect has not been firmly established, overuse of symptomatic migraine drugs, opioid or butalbital compounds, or analgesics is implicated in the development of chronic daily headaches with either a migraine-like or a mixed migraine-like and tension-type-like presentation. Whereas overuse is defined in terms of treatment days (not doses) per month, the stipulation "on a regular basis" is significant—i.e., 2 to 3 days per week on an ongoing basis. Taking symptomatic medications on several successive days with long periods without medication use does not seem to be associated with medication-overuse headache. This strategy, in fact, is often used to prevent severe menstrual migraine attacks.